How is Chinese journalism affected by the recent focus on deepening reform in China and by China’s rise? Do intensified economic change and evolving state-society relations influence media organizations? What does all this talk about change mean for the variety in media practice and the kinds of themes that journalists choose (or are allowed) to address? These are the issues under debate at an international conference at the Clingendael Institute, which will dispel the myth of China as a media monolith. Senior Chinese journalists will discuss the fundamentals of media ethics in China, and illustrate the roles and missions of leading Chinese media organizations. They will reflect on the greater visibility of the Chinese media in Europe and elsewhere. 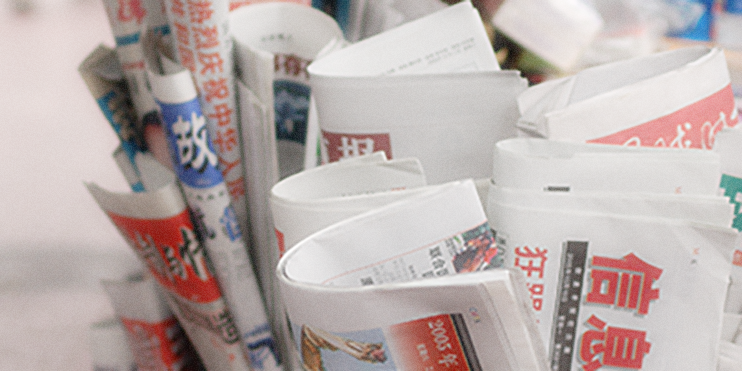 European scholars will present their most recent work on Chinese media. Chinese correspondents based in Brussels and other European capitals talk about how they represent Europe to their domestic audiences. The conference will enhance our understanding of the dynamic, varied and fast-changing media landscape in China, and the relevance of these changes for Europe’s stance towards China. It is aimed at scholars, journalists and policymakers who are interested in what is happening in Chinese media today. In 2014 the Asia and Oceania Department (DAO) of the Dutch Ministry of Foreign Affairs organises together with external partners the ‘Azië Carrousel’. This series of Asia-related events is aimed at enlarging the knowledge about Asia and emphasising the importance of Asia for the Netherlands, strengthening and expanding the Asia network and contributing to potential and existing forms of cooperation between the Netherlands and Asia. Co-organizing institutions of this international conference on the Chinese media are the Modern East Asia Research Centre (MEARC) of Leiden University, the Clingendael Institute and the Netherlands Ministry of Foreign Affairs. The conference will take place on 15 May 2014 at the Clingendael Institute in The Hague, The Netherlands. See also the Clingendael website: http://www.clingendael.nl/event/chinese-media-and-relations-europe. For more information, please contact the conference manager Ms Gina van Ling: gling@clingendael.nl.